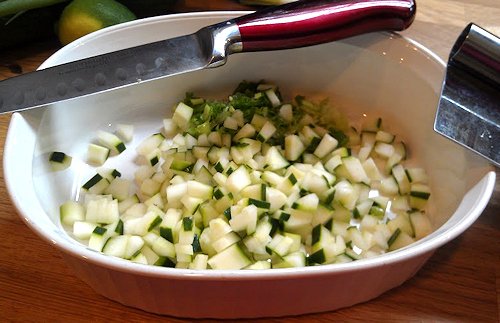 1 cucumber seeds removed and diced. 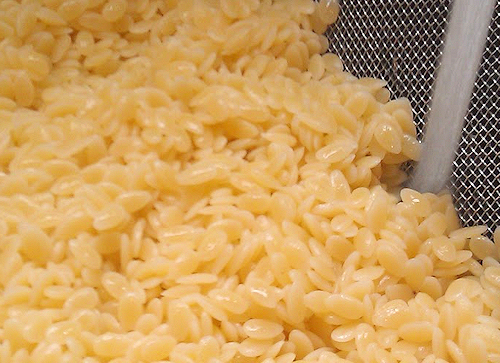 In a boiling pot of water according to package directions, add the orzo. 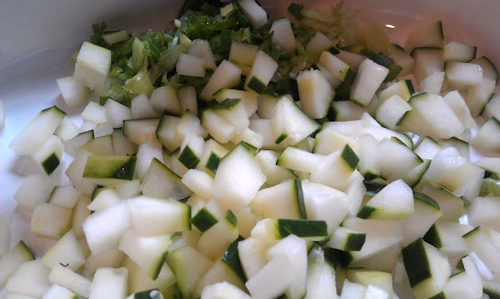 While that is simmering, chop cucumber and green onion and slice lemon in half. Add into a nice size casserole dish. 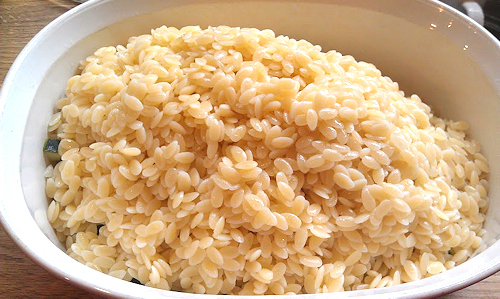 Drain your orzo pasta and rinse thoroughly with cool water. 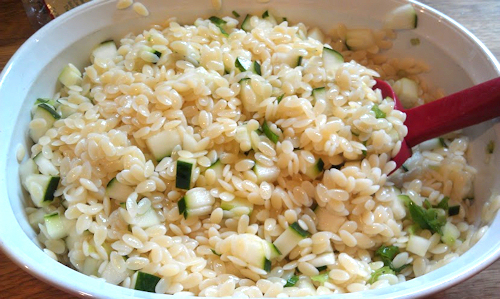 Shake off excess water and pour into dish with the cucumber onion mixture. 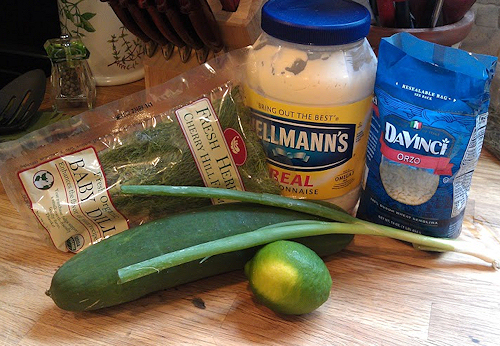 Squeeze lemon in and add mayo. Stir. 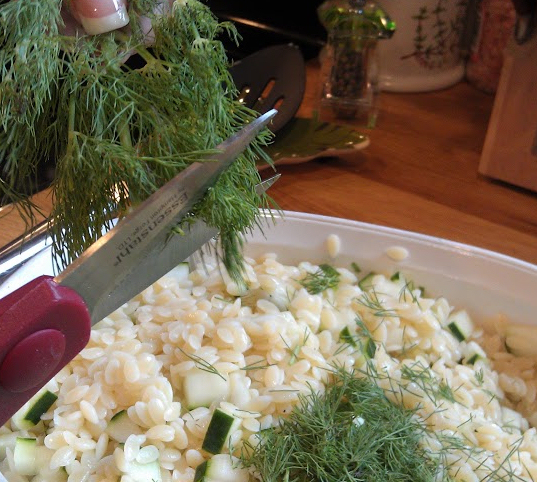 Now for the dill, The easiest way it grab a pair of kitchen scissors and start cutting into your bowl. Now if you like a little less please add and taste as you go. Nothing wrong here with altering as you go. 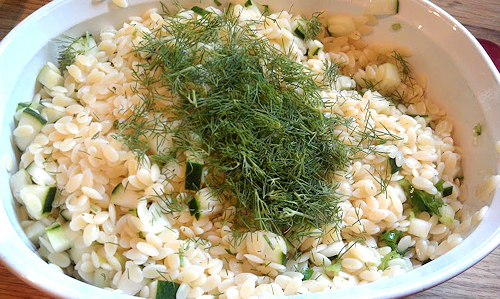 I happen to love dill so I went all the way. 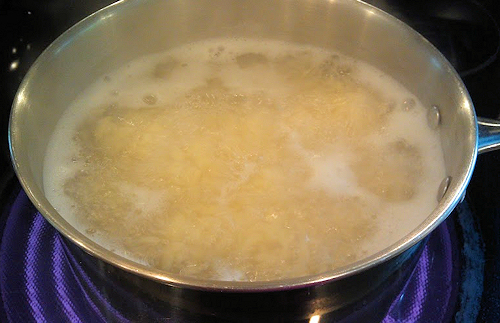 Stir again, add salt and pepper to taste. Add a sprig on the top for decoration! This goes right in the fridge for at least an hour to chill. 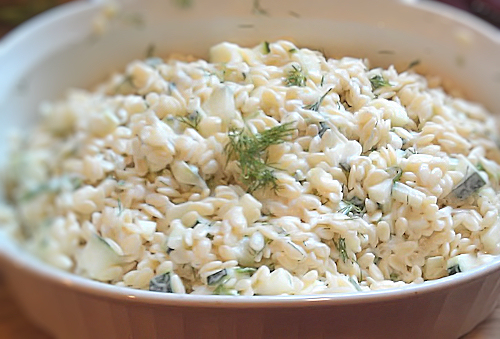 This is such a refreshing salad, I just know you are going to love it. Enjoy.